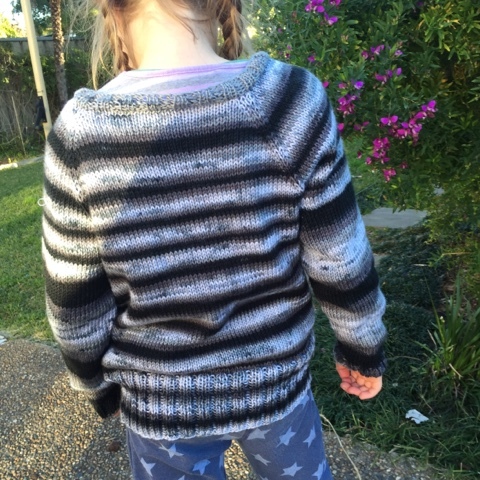 Miss K is very pleased that I have 'finally' finished her Stripey Cardigan. I'm pretty sure I only cast on at the beginning of the month. We must never tell her of the sweater I cast on, 3 years ago, for me and have only knit two rows of. 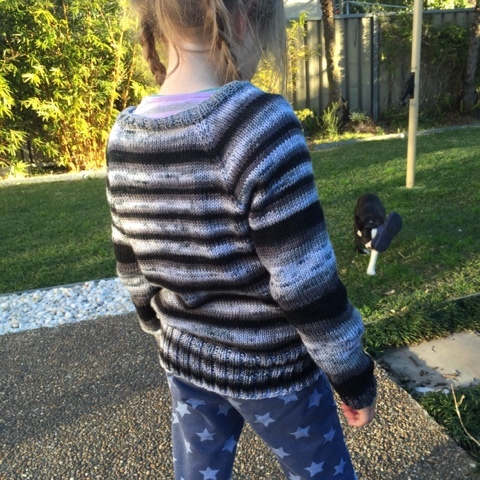 Modifications to the pattern included adding extra length and knitting the buttonband in silver because I wasn't sure I could cope with another striping pattern. The button band in silver looks perfect! K obviously picked some very colorful buttons! Extra length was a good call, it looks like you should get another winter out of it. Swap the buttons and it could be handed down to a boy as well. 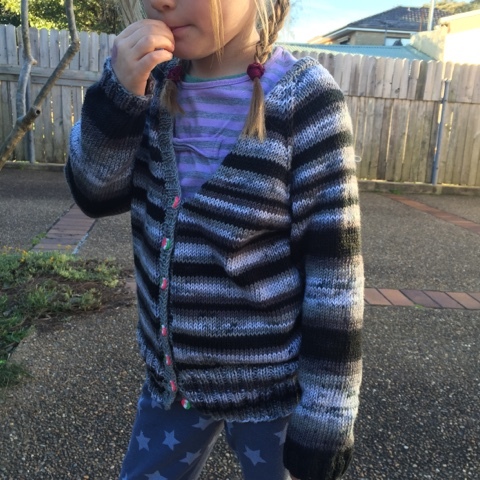 I love the yarn, great cardi!